South Africa which is also known as the South African Republic is a country which located in the deepest area of Africa continent. Today, South Africa is among the developing countries. South Africa has several important oceans and port areas. For illustrate, there is Atlantic Ocean in the southwest, Indian Ocean in the south and east, Swaziland, Mozambique and Zimbabwe in the northeast, Botswana in the north and Namibia in the northwest. Unlike the other countries, South Africa has no one specific national capital. 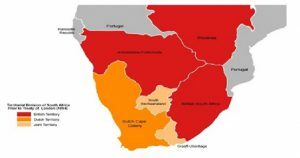 The country is divided into three branches such as Pretoria, Cape Town, and Bloemfontein. (1) Pretoria is a branch related to executive power and there exist President and the Cabinet here. As well as Pretoria, Bloemfontein is a branch related to the judicial branch of government. Also, there is a Supreme Court of Appeal is located. In addition, Cape Town where the legislative power and seat of Parliament exist. As it is understood from above, there is a separation of power in South Africa, and they are administrated from different cities. In as much as South Africa has so many valuable mines, this situation is attracted notice by colonist countries. In the first place, these countries just stopped by especially to Cape Town, while they were going to India to exploit it. At issue, countries are mostly European countries such as Portugal, Holland, England and Spain. By the 17th century, colonial actions started in South Africa. The first colonial country was England which had many colonies in the whole world. We can summarize this situation like that Europeans came to this country because of Geographical Explorations which started in Europe. And the bloody history of South Africa has begun. As it is mentioned above, so many countries such as Portugal, Holland and England exploit this country. However, the most bloody and the longest years of South Africa took place during the England colonies. During the European countries colonies especially England and owing to their actions under the “colony actions” in that country, people who were non-white and from South Africa were exposed to wicked treatments and transactions. As a result of this situation, “Apartheid Regime”, which means “separation” in the African language, emerged. Apartheid regime was applied even by National Party Government as official state policy between 1948 and 1994. Thus, the apartheid regime process was the darkest era for South Africa. There were so many sanctions and laws which came into force during this regime. For instance, in this period, the pressures on non-white people increased and the dominant power of the whites continued. However, this movement has attracted both South Africa and the international arena. Thus, this system was abolished, democratic and system which is opposite to discrimination came. South Africa that has many valuable mines such as petrol, gold, diamond and carbon etc. is the 6th country has most population after Nigeria, Ethiopia, Egypt, DR Congo and Tanzania in Africa continent. When we look at the prehistory of South Africa, we see that many tribes lived in that area. According to archaeological findings which were done before prehistory era in South Africa, we learn that its history relies on hundreds and thousands of years ago, namely before 10000 years from now (7900s BC). In around 2300 BC, it was passed to hunting and gathering with the tribe of San and Hottentot (The Khoikhoi (13)). (14) Also, it was passed to nomad and husbandry life 2000 years ago. The Bantu tribe, which knew that forge and plow the land, came to South Africa from 2,000 years ago from Western and Central Africa. Hence, more complicated social and political structures based on settled agriculture emerged. (15) We see that first settled life was passed during the Bantu tribe’s time. Bushman and Hottentot were the first tribes of this region. Bantu came to this area after and dominated the region. These were non-white people, so the real owners of South Africa were them. Bantu repelled some of Bushman to the interior, also some of them destroyed by Bantu. Furthermore, some people of Bushman and Hottentot joined Bantu. After the demolition of the state which was called Mapungubwe which existed in Limpopo Valley in the 11th and 12th century, the small kingdom which connected with Great Zimbabwe and Ingobe Ilede established a hegemony in the region in the 13th and 16th century. 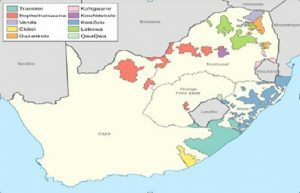 Zulus, Sotho, Tswana and Venda which were the tribes in that country settled Indu Ocean, Bushman and Hottentot settled to interior regions, and Bantus settled in the coastal region. (16) Also, Xoisans were the first tribe non-white people who are from South Africa, which encountered with the first explorer and colonists who were from Portugal. Consequently, we can summarize the prehistory of South Africa like above. As you see, there were so many tribes within the history of South Africa. After became strong of Ottoman Empire, Europe tried to find alternative ways to reach to China and India in order to exploit these areas. 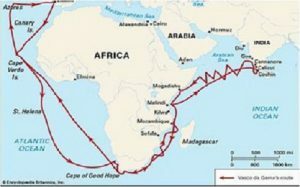 Correspondingly, Vasco da Gama discovered the India way by passing from The Cape of Good Hope. (17) In addition to that, Christopher Columbus, who was from Spain, reached to America that firstly he taught that he discovered India. 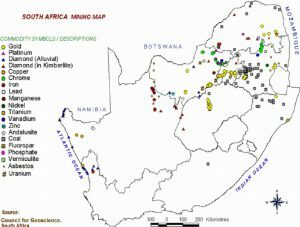 (18) As it was mentioned above, South Africa is a country has many valuable mines. As a result of it, some European countries wanted to assume them. Hence, after Geographical Discoveries started, and Bartolomeu Dias who was an explorer from Portugal discovered South Africa the bloody and racist history of South Africa began. (19) Following the article, the basic countries which exploited the continent of South Africa and what they did in this country are going to be explained with detail. These are respectively Portugal, Holland, and England are going to be. Portuguese navigator Bartolomeu Dias sailed down to South Africa in order to prevail its exploitation and trades and to find the shortest way to go to India. Due to his ship caught in a storm, Dias went to India Ocean. When he returned from India, he saw The Cape of Good Hope. Hense, Portuguese navigator Bartolomeu Dias discovered The Cape of Good Hope in January 1488. (21) Also, he called it firstly “Cabo das Tormentas”. (22) However, later it was renamed as by King John II of Portugal as “The Cape of Good Hope” (Cabo da Boa Esperança). 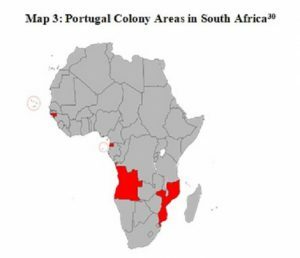 Portuguese established colonies in that country in order to defray its needs. Portuguese was the first country to reach to South Africa. The reason for it is that in order to get ahead of Spain because Spain was a rival against Portugal. (23) Portuguese provided the dominance in South Africa as a result of its colonial trade. After the discovery of The Cape of Good Hope, it earned importance for the European States in order to go to India and exploit it. Also, The Cape of Good Hope which earned importance as strategically was safe to reach India. Portuguese which spreads to the four corners of the world brought its culture and religion to the region that he exploited. As a proof of it, it can be counted so many explorers who are from Portuguese such as Diogo de Silves (24), Gonçalves Zarco and Tristão Vaz Teixeira (25), Vasco da Gama (26), Pedro Alvares Cabral (27), Ferdinand Magellan (28) and Gaspar and Miguel Corte Real (29). These Portuguese explorers discovered many important places which would earn the most important later. (31) Portugal did not alone bring the richnesses of South Africa to Portugal, but as well it turned people who were natives of South Africa to Christian. Moreover, Portugal used the native people as the slave. Moreover, Portugal used the native people as a slave. Holland realized so many massacres directed Khoikhoi. Holland realized great massacres in 1659, 1673 and 1674 – 77 in order to slave the Khoikhoi tribe. It attracted to Khoikhoi tribe with fired guns and killed one thousand Africans people. Their homes and lands were taken, the natural resources which existed in that area were exploited. Some of the people were kipped as a slave. According to historians, 2/3 population of Cape Town consisted from slaves. 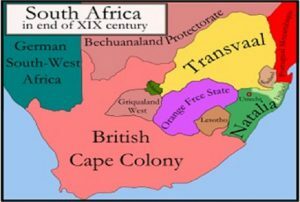 Xoisans which encountered with Portugal colonies first did not want Holland’s East India Company to set up the colony in Cape Town. In order to prevent this situation, they fought against Holland. However, they had failed, because they had no enough war material. At the end of the war, Holland used this tribe as slaves and used them for the labor force. In addition to that, in order to compensate its war damage, Holland imported slaves from its other colonies to this country. Furthermore, moreover, most of these slaves were Muslim, so the Muslim population base was set up. 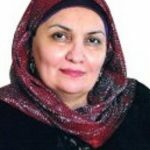 (41) However, as it was mentioned in the article, Muslims couldn’t be more at that country. Hence, recently the Muslim population is just at the rate of 1, 2 % (42) in South Africa. As another result of Holland’s policy brought about the increasing white population. After the French Revolution, France has defined South Africa as a strategic target for its colonial importance. England wanted to prevent it because the way goes to India which was under the colony of England, was passing from South Africa. Thus, England beat Holland with the war Muizenberg in 1795 and it occupied the region. England provided its total authority at that region after the agreement of Paris Agreement. After this negotiation, England brought its own citizens to South Africa in order to provide its legitimacy and dominance. As a result of this, Boers (46) migrated into the interior region. This migration movement was called “Great Migration”. Zulus who migrated into interior region did not want Boers to come to the interior region. Hence, Zulus consisted of an army and fought with Boers. In the first war Zulus won, but in the second war which was Blood River in 1838 Boers won. After this war, England exiled the Boers into more interior areas. Boers which migrated from Natalia to the more interior region established Natalia, Transvaal and Orange Free states. Afrikaner National Party whose under the leadership of Malan became a power in 1948. 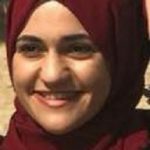 (57) They won the elections under the slogan “apartheid”. This party’s basic policy is to support the racist policies. (58) Depending on it, “Apartheid Regime” process had begun in South Africa as official and policy of the government. The word of apartheid was translated from the Afrikaans language. Its meaning is “apartness” in that language. 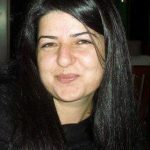 (59) This regime started in 1948 and continued to the 1990s. However, it cannot be said that there were no any racist policies before 1948. To demonstrate during the World War II labor force was needed and in order to iron out it, non-white people were used. Nevertheless, the legitimation of these kinds of policies started after 1948, the government of Verwoerd. The policies of the apartheid regime were adopted as national policy and they were applied. The leader of South Africa, security unity, polices, the judgment made it easy to apply. ■ Separation of vehicles in public spheres such as post offices, buses, parking areas and toilets as black and white areas. ■ Even the syllabus was prepared differently from white by taking into consideration what lessons black ones were good. The institutions which were established by the apartheid government, social support and golden, it became solid in the 1960s. After the Sharpeville Massacre (69) which caused that many investors left from the country. Nevertheless, Hendrik Frensch Verwoerd took many preventions, and later these investors came back. As a result of the good economic situation of South Africa, many people who lived in Europe and did not satisfy from lives wanted to migrate to South Africa. Following they moved to South Africa in order to have more welfare life. After this migration movement, the white population which already existed in South Africa increased. The institutions which struggle against to apartheid regime came together and created unity in the 1950s. This unity accepted “Freedom Charter” (70) at Kliptown, Soweto, South Africa in June 1955. This charter includes the equality of black people in terms of political and social life with white people. This unity congress was evaluated as the institution which aimed to destroy the government. 156 members of it were on trial, the process of the trial continued from 1956 to 1961. However, the accusations did not proved, so they became free. The struggle against to apartheid regime started with the after the Sharpeville Massacre by African National Congress (ANC) (71) and Umkhonto we Sizwe (MK) (72) in the 1960s. Sharpeville Massacre was the milestone the struggle of black people. Because this massacre created many reactions in domestic and abroad. Especially great reactions against to apartheid regime government. The United Nations the decision of 134 condemn the apartheid as a crime for humanity and wanted it to be abandoned on 1st April 1960. (73) However the government did not accept these, and it declared the state of emergency and prohibited the Pan Africanist Congress (PAC) and African National Congress (ANC). As a result of it, Pan Africanist Congress (PAC) and African National Congress (ANC) decided to react with guns. African National Congress realized almost 200 sabotage in South Africa between 1961 – 63. Later, all leaders were captured. They were judged due to some accusations in the Rivonia Trial on 30th October 1963. This event decreased the affection of the African National Congress in the country over the people. The convicted leaders were Nelson Mandela, Oliver Tambo, Walter Sisulu, Govan Mbeki, Raymond Mhlaba, Denis Goldberg, Ahmed Kathrada, Andrew Mlangeni and Elias Motsoaledi. After the prohibition of the African National Congress, young black youths in order people to hear them they established the South African Student Organisation (SASO) under the leadership of Steve Biko (75). (76) This organization started the Black People’s Convention (BPC) to organize Black people and leade the process of Black consciousness under the leadership of Biko in1972. (77) Political actions started under the Black People’s Convention in 1972. Apartheid regime government look into South African Student Organisation’s actions, however, setting up the lack People’s Convention changed the perspective of apartheid regime government. (78) When putting Steve Biko under house arrest he died. This, black one’s reactions decreased on 18th August 1977. Apartheid regime came into softening period under the leadership of Pieter Willem Botha in the 1980s. 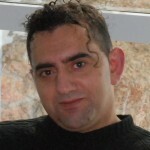 He set up trinity Parlamento in order to represent the different races, however, it did not supply the expectations. Hence, the state of emergency was declared in South Africa. As a result of it, so many reactions came from international areas. Thus, Pieter Willem Botha resigned and Frederik Willem de Klerk was selected. Frederik Willem de Klerk announced the end of the apartheid regime in 1989. (81) Most of the churches supported the resistance movements inside or outside the country because they found the racist regime practices to be contrary to Christian principles and moral values, they became the voice of the people. Desmond Tutu, who is one of the people took part in this struggle, is known as peace envoy by the whole world. Although it was accepted that the government would not be too harsh against to church, the government trapped, dismissed or banned certain priests from various church organizations. In this period, a significant number of white supporters were shown to support these resistances in various ways. Willem de Klerk started to decide in line with the democracy. Closed parties and political organizations which based on anti-apartheid regime on 2nd February 1990. Thus, African National Congress, Pan Africanist Congress and South African Communist Party had been removed a ban. The convicts were released including Nelson Mandela who was released after his 27 years imprisonment life on 11th February 1990. Moreover, the meetings which were related to what kind of system would be in South Africa started with African National Congress and other parties. (82) Mandela and De Klerk had an exchange of ideas about the feature of the country. As a result of this consensus, African National Congress declared that they outgrowed using the armed actions. Hence, in response to this apartheid regime government took the sanctions and blocks for black people off. Also the laws which recognized the apartheid regime were abolished. As a result of these development, democracy was coming step by step. Official constitutions negotiating began between apartheid regime and political parties on 20th December 1991. This negotiating which was created in order to form the democratic South Africa government declared the temporary South Africa constitution on 22nd December 1993. (83) Afterwards, it occurred some problems with Inkatha whose Zulus Party. Zulus did not want to attend to the elections. These problems influenced the whole country, even to 1994 elections. Nevertheless, Inkatha Freedom Party (84) decided to attend the elections on19th April 1994. 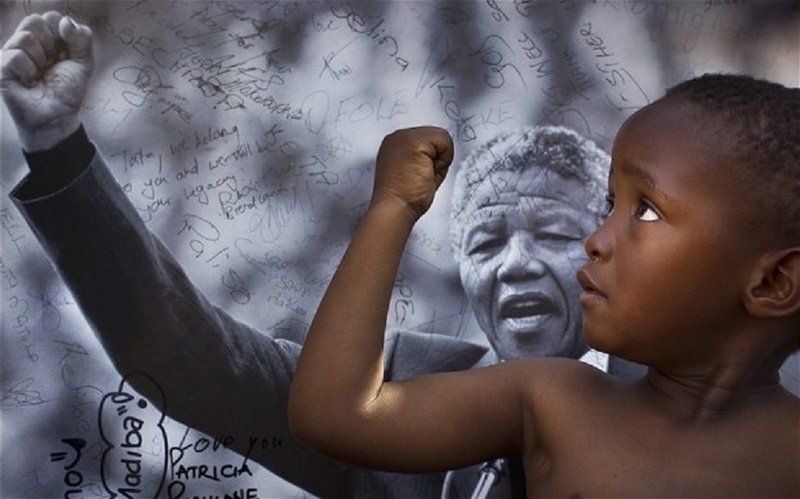 The era that Nelson Mandela became a president of South Africa between 1994 – 99, the process continued as consensus, transformation, and democratic. Also, in order to create an accommodationist area, a Reconciliation Commission (TRC) was set up. (91) As a result of this established up this commission, Mandela government paid some amount of money to people who were frustrated during the apartheid regime according to the Reconciliation Commission’s reports. (92) Nelson Mandela not only supported the peace interior, but also in international areas. Consequently, he became a negotiator in the Lockerbie bomber, which caused 270 people dying, on 21st December 1988. Mandela aimed to transferred his position to Mbeki who Mandela thought that he was better in terms of economy in 1999. Thereby, Mbeki became a candidate of African National Congress in the election of 1999. (93) On 9 June 1999, the ANC entered into a coalition with the Indian-led Minority Front (MF), which held one seat in the new Assembly. We tried to explain the history of South Africa, and then the colony actions of some European countries such as Portugal, Holland and England in South Africa, afterward apartheid regime and its sanctions on non-white people who were from South Africa. Following, we explained that the post-apartheid regime and the transition process to the democracy in South Africa. As it was mentioned in our article, South Africa suffered much pain in order to reach the democracy. Racism has already applied in that country, though later this racism was made legal by means of laws. As required of the apartheid regime, which was so bloody, it occurred many differences between white and non-white people. Nelson Mandela was even sentenced for the sake of anti-apartheid regime and democracy with life imprisonment. Although all world was aware of the actions which were done in South Africa under the apartheid regime, they did not do anything about the situation of South Africa. Only after the Sharpeville Massacre, United Nations started to do something. Unfortunately, whatever was done in South Africa by the apartheid regime government world just watched until that event. Finally, auspicial things started to be done. After Frederik Willem de Klerk became a president in South Africa, even though he was the president of the apartheid regime, it is possible to see that the democratic transition started in the history of South Africa during Klerk’s authority. The releasing of Nelson Mandela became the victory of democracy. Without doubt one of the most important role belonged to Nelson Mandela who was the president of Africa National Congress. Mandela implemented a peaceful policies during the Klerk authority. Thanks to this kind of policies apartheid regime’s sanctions were unbanned by Klerk. The ambiance which all kind of people who have different race have equal rights occurred thanks to the democratization process. Apart from these, one of the most important factors that bring democracy to South Africa was that transition to democracy in neighboring countries. Furthermore, it was determined that free and democratic elections would be done in 1994. Then, it was the greatest point that apartheid regime is over, and democracy came to South Africa. On the other hand, it is possible that evaluate the apartheid regime and transition to the democracy under the theory of Huntington. According to Huntington’s theory, democratization emerged in 3 ways. There are 2 political actors such as government actors and opposition actors in order to explain this theory. The government actors include hardliners&standpatters and reformers, on the other hand, oppositions actors include extremists and moderates. 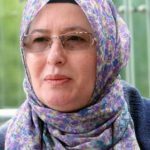 According to this theory, reformers must be stronger than hardliners, and moderates must be stronger than extremists. When we focus on democratization in South Africa, we can evaluate it under the reforma and transformation concepts. Therefore, Frederik Willem de Klerk may be evaluated under the concept of reforma. Because Klerk was not a big supporter of an apartheid regime. After he became a president, as it was aforementioned before, the process of end of the apartheid regime accelerated. Klerk did not against to reforms. Besides, Nelson Mandela may be evaluated under the concept of moderate. Because the policy he did was moderate, as a result of his policy it occurred a negotiation between Klerk and Mandela. As a result of reformer Klerk and moderate Mandela, the process of democratization became accelerated. At the end of this process, democracy came and first elections were be able to realized in 27th April 1994. The democratic elections continue from 27th April 1994 until 2016. Black people are able to live in peace without any apartheid restrictions and implementations. ANC provides for black people a security area, which they deserved, under the leadership of Nelson Mandela from it was established day. The main purpose of Nelson Mandela was it. Also, as Nelson Mandela said that, “The victory of democracy in South Africa is the common achievement of all humanity.” (102) There is no any doubt, the victory of democracy in South Africa became a common achievement of all humanity. (10): Zulus who are Bantu people also the tribe exists in South Africa’s east. Zulu means “sky” according to their old history, also it was the name of the ancestor who found the Zulu royal line in as 1670. Today it is estimated that there are more than 45 million South Africans, and the Zulu people consist about approximately 22 % of this number. Most of Zulu people became Christian after the colonial actions of colonial countries. Zulus are also tribe which known in worldwide. Their homeland is St. Lucia. However, they live in the east beach of South Africa, KwaZulu-Natalia province. Their current population is approximate 10 – 11 million, they are the biggest ethnic group of South Africa. Zulus are so important for South Africa’s cultura l, political and economic life. They have so many different fight techniques, and they are so harsh and enduring. The first fight between Zulu and colonist Europeans countries realized after 1834 against to Boers which was known as the occupant of Holland. Beside, Zulus fought with England. Hence, Zulus are the strong people of South Africa struggle to prevent in the actions of colonist countries in the 19th century. Since, colonist countries wanted to assume the wealth of South Africa and destroy their traditions and territorries. (34): Some of Holland’s ships set sail from Texel Island in the North of Dutch on April 2nd, 1594. It was the first successful ship voyage of Dutch which went to Aisa because trade way opened for East. Zeeland and other trade fleets gain the priority in the seas, they even beat Portugal which was the best in the seas until that time. The ships which were full of pepper and coconut that belonged to exploited country went to Holland. Johan Van Oldenbarnevelt established “Dutch East India Company” in order to prevent the unnecessary rivalry on March 20th, 1602. Hence, Dutch monopoly consisted from the Cape of Good Hope to Asia seas for all trade areas. Local people were worked in the cinnamon field, the reason of it is that most income of Dutch East India Company’s was provided with crocus, and then cinnamon. These were the most expensive spice at that time. In addition to that, the company did not tolerate Muslims. The company dominated the especially spices trade until the year of 1799 that it collapsed. The reason of it may be the wars which were for long-term. (35): Jan van Riebeeck was a doctor and trader from Holland. He set off from Texel in The Netherlands for the Cape of Good Hope on 24 December 1651. Van Riebeeck had signed a contract with the Dutch East India Company (VOC) to oversee the setting up of a refreshment station to supply Dutch ships on their way to the East. Riebeeck returned South Africa to the colony. He was the man who established Cape Colony and administrated there firstly. He administrated this region for 10 years, and he died, n 1677 in Jakarta. (46): People who derived from Holland, and are colonists in South Africa are called “Boer”. They occurred after Holland settled in the Cape Town, they were administrated by Holland until 1795. However, they were captured by England in 1806. (50): It is the Word of Afrikaans, and it means that “foreigner”. They speak Afrikaans language which was derived from Dutch language. (69): A walking which had no any violence was organized in order to protest the identity card which black people had to carry on by Pan Africanist Congress (PAC) on 21st March 1960. Many people gathered in Sharpeville, however, 69 people died and 180 people injured because of people guns. (70): Basics of the freedom charter clauses are following: The people shall govern, all national groups shall have equal rights, the people shall share in the country’s wealth. 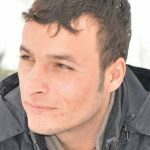 The land shall be shared among those who work ıt, all shall be equal before the law. All shall enjoy equal human rights, there shall be work and security. The doors of learning and culture shall be opened. There shall be houses, security and comfort, rest, leisure and recreation shall be the right of all, there shall be peace and friendship. (71): The organisation was initially founded as the South African Native National Congress (SANNC) on 8 January 1912 in Bloemfontein, with the aim of fighting for the rights of black South Africans. African National Congress (ANC) was established in order to eliminate the apartheid regime and gain the right to vote by the black ones in 1912. It was an establishment which is young boys who became radical because of the apartheid regime and repressions on black people needed. The organization was renamed the African National Congress in 1923. Through MK, the African National Congress waged the armed struggle and obtained support from some African countries and the Soviet block for its activities. With the increasing internal dissent, international pressure and the collapse of the Soviet Union, the apartheid government was forced to enter into negotiations with the African National Congress. This saw the collapse of apartheid and the ushering in of democratic rule in 1994. In the national elections from 1994 to 2004 the African National Congress had consistently risen in electoral popularity. Moreover, Nelson Mandela was a member of this institution. He was arrested in 1962, and he was life sentenced in 1964. Mandela remained in prison until 1990. Thanks to the international campaign started for him, he was freed again at the age of 72. (72): Umkhonto weSizwe (MK) was launched as an armed wing of the African National Congress (ANC) on 16 December, 1961. Umkhonto weSizwe (“Spear of the Nation”) or ‘MK’ as it was more commonly known, was launched on the 16th December 1961. (75): Bantu Stephen Biko was a South African anti-apartheid activist. Ideologically an African nationalist and African socialist, he was at the forefront of a grassroots anti-apartheid campaign known as the Black Consciousness Movement during the late 1960s and 1970s. (82): The political parties in South Africa are these at that time: African National Congress, Democratic Alliance, Inkatha Freedom Party, United Democratic Movement, Independent Democrats, African Christian Democratic Party, Freedom Front Plus, United Christian Democratic Party, Minority Front, Pan Africanist Congress, African People’s Convention, Azanian People’s Organisation, South African Communist Party. (93): The parties which existed during the 1999’s election in the South Africa: African National Congress (ANC), Democratic Party (DP), New National Party (NNP), Inkatha Freedom Party (IFP), United Democratic Movement (UDM), African Christian Democratic Party (ACDP), Freedom Front (FF), United Christian Democratic Party (UCDP), Pan Africanist Congress (PAC), Federal Alliance (FA), Minority Front (MF), Afrikaner Eenheids Beweging (AEB), Azanian People’s Organisation (AZAPO), Abolition of Income Tax and Usury Party (AITUP), Government by the People Green Party (GPGP), and Socialist Party of Azania (SOPA).